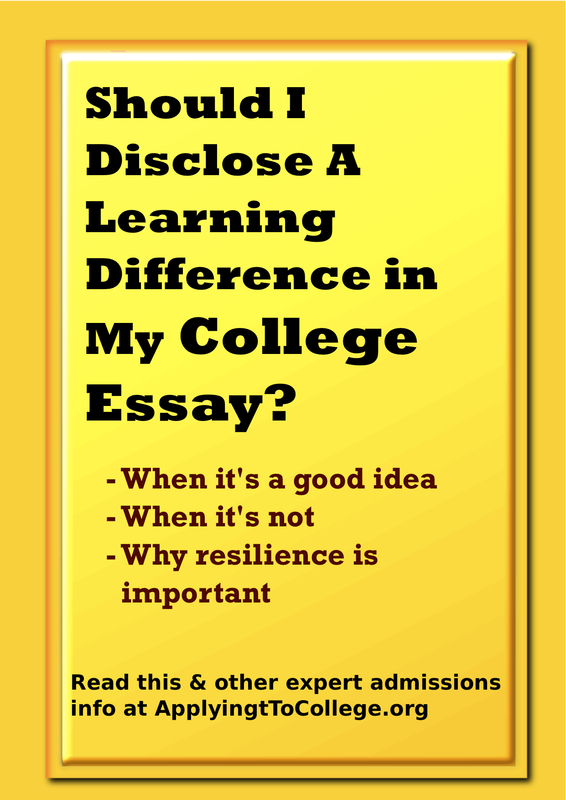 Should I Disclose a Learning Difference in My College Essay? As I a writer, I’ll admit, I’m a bit fixated on essays. So naturally, I wondered whether college application essays are the appropriate place for a student to disclose that he or she has learning differences. Colleges want to know that the students they admit will be able to work independently—which is why essays are so focused on learning about how students problem solve and how they’ve overcome personal challenges. They’re aware that LD students will be in need of some form of support, such as additional time taking tests or organizational strategies, so LD students also need to show that in addition to meeting this criteria, they’re resilient and know how to successfully self-advocate. A story about how you’ve learned to work with your disability or overcome prejudices could be a compelling Common Application essay. An explanation of how your disability has affected your grades in a specific area of study might be worth addressing in a supplemental essay. Whether you disclose in the Common Application essay or a supplemental essay, your focus should be on what you’ve learned from the experience about working more effectively. Note: If you decide the essay isn’t the right place for you to disclose a learning difference but you want to address it, use the additional information portion of the Common Application. You don’t need to write an essay for this section; a well-written, straightforward paragraph or two will give the admissions committee the information it needs to fully understand your transcript and background. 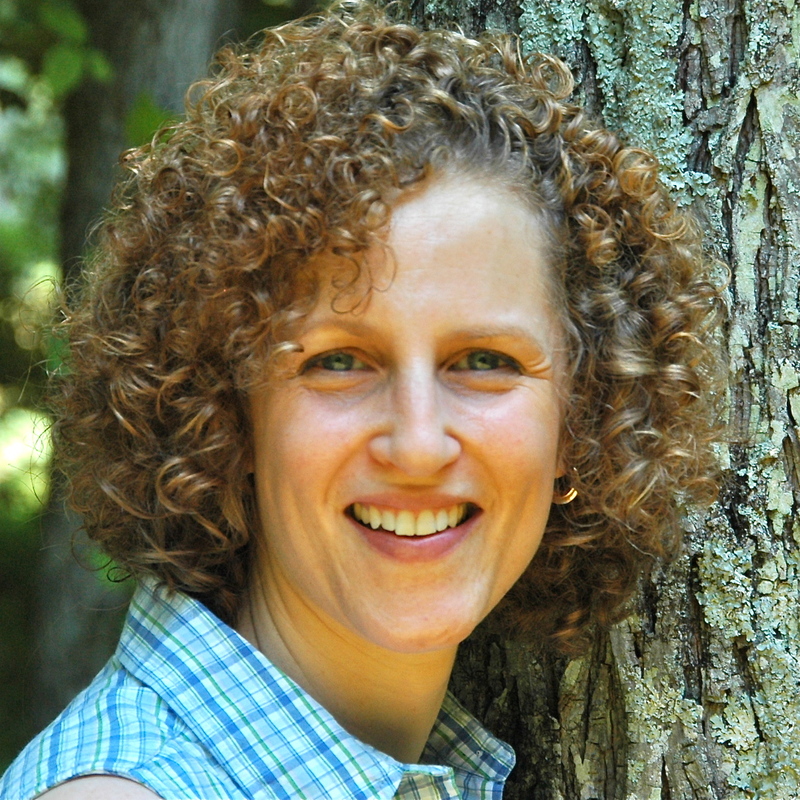 Joanna Novins is a professional writer and analyst by training, but the challenges facing students with learning differences is a topic that is near and dear to her heart. She teaches writing to students with learning differences and is the proud parent of a smart, successful, and highly independent college student with a learning difference. Joanna holds a master’s degree from the Johns Hopkins School of Advanced International Studies and a bachelor’s degree with honors in history from Williams College in Williamstown, Massachusetts. She is an independent writing consultant for First Impressions College Consulting, teaching college essay writing to students of all abilities. Categories: Advice on Applying from College Admission Counselors, Application Process, College Essay - Writing, How to Choose a College Essay Topic, Students with Learning Differences, Tips for Parents | Tags: should I disclose a learning difference or disability in a college essay, Should you write about your learning difference or disability in your common application essay, writing about adhd dyslexia learning disabilities in college application essays | Permalink.